Back in the days of 3rd and 4th edition Warhammer 40k, The Chaos Space Marines used to have specific Plague Marine Havocs devoted to them. Since in 3rd ed Plague Marines are forbidden from using Lascannons, Missile Launchers, and Heavy Bolters, Games Workshop released Nurgle based Havoc Squads featuring Plasma Guns and Meltaguns. 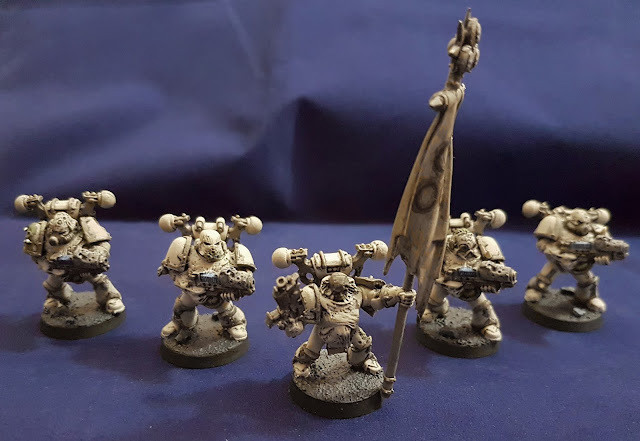 This squad of 5 has 4 plasma gunners in it, all with the special Plague Marin Havoc torso that they do not make any more. So I have a thing for banners in 40k, and my Havoc Squad is no exception. 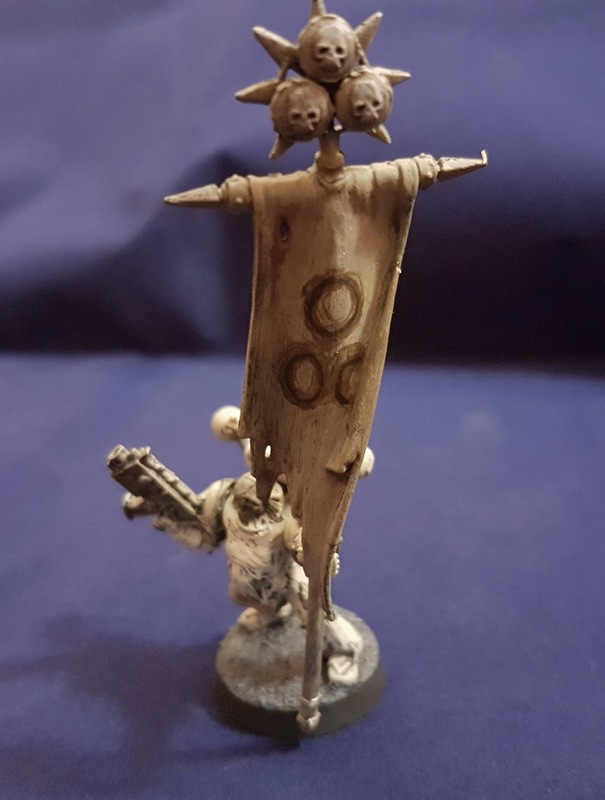 This huge banner is actually from an old Warhammer fantasy Set, and I believe it once belonged to a squad of Chaos Knights. 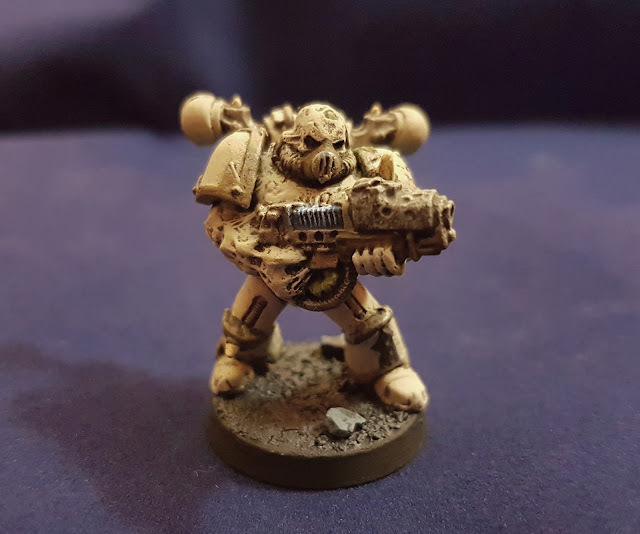 It originally sat on the back of one of my terminators, but given how terribly those were painted I have re-purposed it. 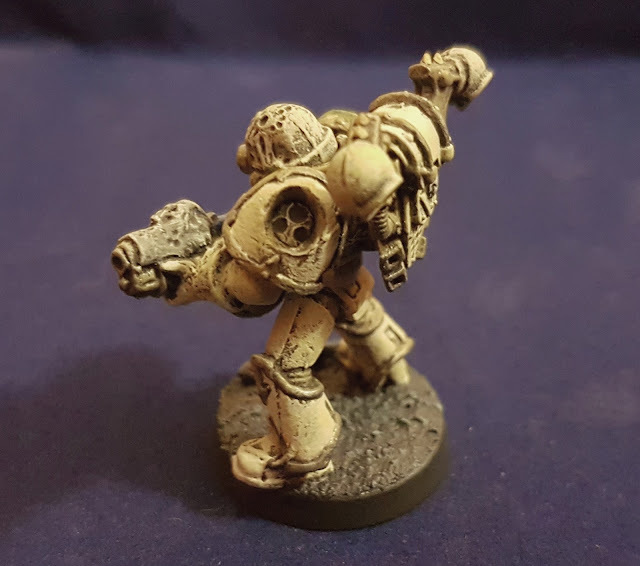 The front of the Torso of these Marines as I mentioned above is one solid pewter piece. It features the arms, the gun and what little you can see of the chest piece. However since most of the mini is resin with only that front piece being pewter, they are a little top heavy and have a tendency to tip if you bump the table. Back in the day I never had much luck with my Havoc squads, but I am hoping my smaller and soon to be Rhino mounted Havocs will do the trick. The Rhino should help them move in and out of position and a whopping possible 8 shots with Plasma Guns should do the trick. One of the oddest things about these minis is that all of the pewter torsos I have spoken of have the mark of Nurgle on the shoulder... Right where the shoulder pad goes. So to show that off, on this model I drilled a hole in the shoulder pad revealing the mark underneath. This one is the only Havoc in the squad who does not have an original head. 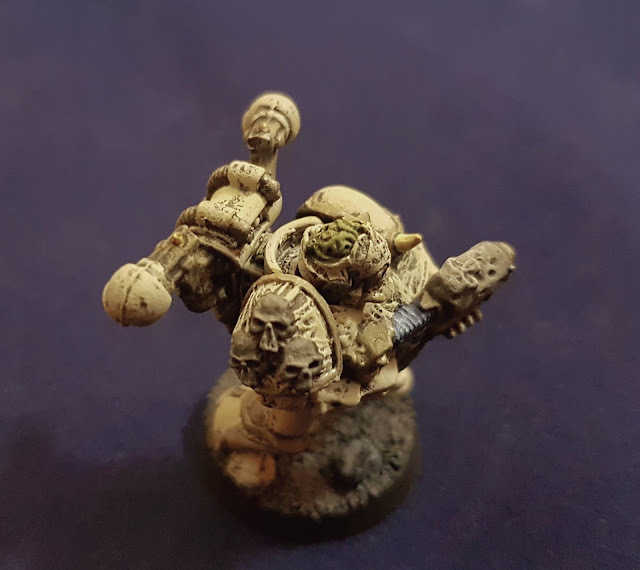 This head come from Spellcrow, you can find their minis on Ebay and they make fantastic Plague Marine Alternatives. Definitely worth checking out. And there you have it, those are my Plague Marine Havocs from way back in the day. 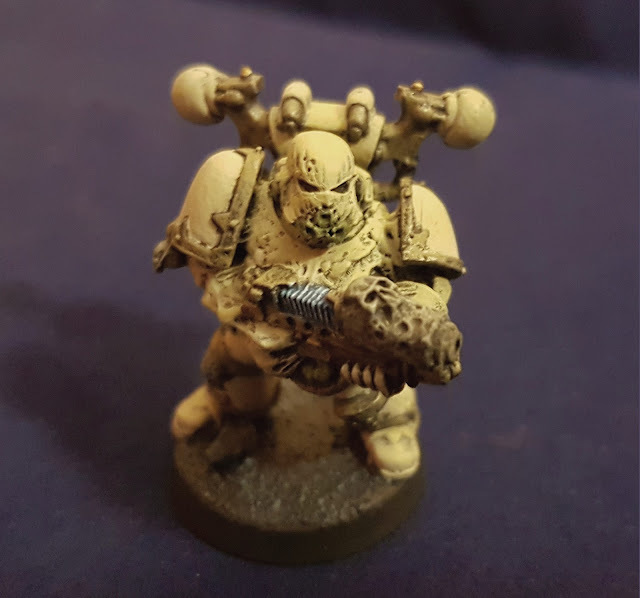 It is a shame they don't make them any more, but perhaps with the new Nurgle stuff on the way we will see more options coming along.